Grab your strongest buddies and move your stuff. If you've got the time and determination to pack and move yourself, you can get behind the wheel yourself. Here's a quick look at how to approach your move. ·Decide what size vehicle will accommodate all the household goods you'll be moving. · Decide what equipment and supplies you need: hand truck, furniture pads, dish-pack boxes, wardrobe boxes, bubble wrap, tape, padlock, sofa and chair covers and mattress covers. · Reserve your rental truck, equipment and supplies at least three days before you plan to pick them up. Money can determine if you move, when you move and how far you move. When it comes to the cost of renting a moving truck, the price is determined by your parameters, geographically speaking. To talk the moving talk, check out the types of moves below and then consult your local truck rental services. Local (Less than 50 miles but within the same state.) Pricing is based on an hourly rate, numbers of miles driven and equipment rented or supplies purchased. Intrastate (Greater than 50 miles, but within the same state.) Pricing for intrastate moving is based on a flat, one-way rate, mileage charge and equipment rented or supplies purchased. Interstate (To a different state.) Pricing for interstate self-moving is based on a one-way rate, mileage charge and equipment rented or supplies purchased. Are you thinking of buying or selling in 2011? Call on the Grove Team to assist you with all your home buying and selling needs. Reach us direct, (817) 337-0000. Follow us on Facebook and Twitter or visit us online, www.groveteam.com. Would you wear a poncho in Texas because it’s raining in New York? Like the weather, the national real estate market cannot be compared to what’s happening in Texas and Texas REALTORS® are doing something about it. It’s easy to let the doom and gloom of the national news give Texans the wrong impression about their real estate prospects. While we’re not immune to national economic conditions, we’re certainly insulated from them and remain one of the healthiest real estate markets in the country – facts many Texans are simply not hearing. Texas’ strong job growth, diverse economy and enduring real estate values make economic conditions in the state significantly better than national averages, facts the “Ask a Texas REALTOR®” campaign emphasizes. In addition, the campaign encourages consumers to consult with a Texas REALTOR® to learn more about their local market conditions and to evaluate their own personal situation to make sound decisions. 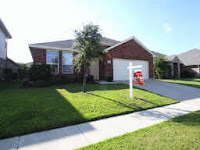 To learn more about the “Ask a Texas REALTOR®” campaign or get the truth about Texas real estate for yourself, visit http://www.texasrealestate.com/. Considering buying or selling? Contact the Grove Team to discuss current market trends in Northeast Tarrant County. Our team of REALTORS is on hand and ready to assist you with all of your real estate needs. Reach us direct (817) 337-0000, online at www.groveteam.com, or by email info@groveteam.com. Follow us on Facebook and on Twitter. Here is to hoping you are surrounded by love and warmth this holiday season. (ARA) - Putting off that home improvement project? Waiting too long could be detrimental to your wallet. On Dec. 31, the federal tax credit worth up to $1,500 for energy-efficient home improvements will expire, leaving procrastinating homeowners out in the cold - or at least chilly from their old, drafty windows. In addition to tax credit savings, many window sellers are offering savings on qualifying windows during October. The first rule of thumb when shopping for new sustainable windows is to understand what the labels mean, and to read them carefully. Windows that bear the ENERGY STAR label are proven to reduce heating and cooling costs, and are National Fenestration Ratings Council (NFRC) approved for U-factor (the rate of heat loss through the window) and solar heat gain (how well the window blocks heat from the sun). To meet the federal tax credit requirements, windows must achieve a .30 U-factor and .30 solar heat gain coefficient, and this information should be clearly marked on the windows. But to ensure the long-term performance of replacements, there are a number of other factors that should be considered, including condensation resistance. The existence of condensation on windows is a sign that a window is inefficient. This can even occur in newer, poorly constructed windows and will lead to other problems, including mold and damage to curtains, walls, carpet and the window itself. Most importantly, moisture can lead to seal failure and the need to replace the entire window system. Some NFRC labels include condensation resistance (CR), which is reported on a scale from one to 100, and measures the ability of a product to resist formation of condensation on the interior surface of the product. The higher the CR rating, the better that product is at resisting condensation formation. While this rating cannot predict condensation, it can provide a credible method of comparing the potential of various products for condensation formation. This rating is not required to be posted on new windows - so be sure to do your homework if it isn't there. The primary component to watch for to prevent condensation is the spacer - the window component that separates and seals the two panes of glass. According to the NFRC, an important step toward reducing the potential for condensation is the use of a warm edge spacer system that reduces the conductivity through the edge of the window. A survey conducted by the Alliance to Save Energy found that 64 percent of homes in the U.S. have single-pane windows, which contribute up to 35 percent of energy wasted in buildings. In cold climates, energy-efficient, dual-pane windows with low-e coatings can reduce heating bills by as much as 34 percent. In warm climates, they can cut cooling costs by 38 percent. For more energy-efficient window buying tips and tax credit information, visit http://www.sustainaview.com/. Consider other improvements to your home before putting it on the market? Contact the Grove Team - we are here and available to assist you with all of your home buying and selling needs. Reach us direct, (817) 337-0000 or online, www.groveteam.com. For many of us, the holidays are a mixture of fun and frantic shopping, joyful times and a hectic pace. Criminals, however, see the holiday season as full of opportunities - the perfect time to take advantage of seasonal chaos. "With everything going on, the holiday season is no time to let your guard down when it comes to home security," says Jim Boots of Protection 1 (www.protection1.com), the largest privately owned security company in the U.S. "Criminals know that our holiday habits can leave our homes, belongings and personal information vulnerable. It's important to be vigilant throughout the year, and especially during the holidays. According to the FBI, there's a burglary every 14 seconds in the U.S. And, with homes and cars filled with new gifts and gadgets, the holidays are an especially lucrative time for thieves." Fortunately, by taking some simple precautions, you protect your home, purchases and identity from predators this holiday season. "Burglars know many people travel during the holidays, and many more will leave brand-new, valuable merchandise in their homes when they're out," Boots says. "A criminal is more likely to target a home that looks vulnerable. The best thing homeowners can do to protect their homes is to make it clear to burglars that their house won't be an easy mark." * Putting inside and outside lights on a timer to make your home look occupied while you're away. * Keeping bushes, trees and decorations from obscuring the view of your front door from the road. * Suspending newspaper and mail delivery if you'll be away for several days. While you're keeping bad guys out, don't overlook fire safety as well. Christmas Eve and Christmas Day are the top days for home candle fires, according to the U.S. Fire Administration. Christmas trees account for 200 fires annually, resulting in six deaths, 25 injuries and more than $6 million in property damage, the administration's statistics show. Remember, never leave candles burning and don't overload electrical sockets with decorative lights. However, should there be an accident a monitored alarm system automatically dispatches the fire department just in case you're away from the house, asleep or unable to respond. * Never leave shopping bags, wrapped gifts or other valuables visible inside the car. Always place them in the trunk. Thieves are more likely to break into a vehicle if they can see the loot in it. * Carry only the credit card you need and one piece of ID when shopping. Leave your Social Security card at home or in a secure place. * Be aware of who might be looking over your shoulder as you type a PIN number. * Never allow a store clerk to take your credit card out of your sight. "By taking some precautions, homeowners and shoppers can ensure the holidays stay bright for themselves and their families - and not for criminals," Boots says. Selling your home in 2011? The entryway is the first up-close encounter a potential homebuyer will have with your home. Manicure your front yard and update or even replace your front door to complement your home's exterior. Select a rich, dark stained wood or bold white door to draw attention to the main entry and add personality to your home. If your door is already in great shape, consider a simple replacement of weak or older-looking hardware that will impress buyers at first sight. Get cookin' in the kitchen. Experts agree that a kitchen can significantly impact a home's perceived value. An outdated kitchen can be a deal breaker for many homebuyers. Naturally, then, it's the place you might spend the most amount of time updating. To increase the appeal of your kitchen, consider investing in updated, matching appliances that match the style of your kitchen. Some manufacturers even offer replacement panels to update the exteriors of older appliances. Next, if you can't afford to add new cabinetry, change out the hardware so the knobs, drawer pulls and handles match your decor and add a modern flair. Adding technology-driven fixtures, including built-in water filtration systems, garbage disposals and faucets is another great way to increase the room's appeal. Update and upgrade light fixtures. Lighting is key. It can drastically change the look and feel of a room, and lighting fixtures are affordable and relatively simple to install on your own. Shop discount stores and home improvement depots to find a statement piece to add spice to your living room. A beautiful ceiling fan with lighting can serve double-duty to update your family room. 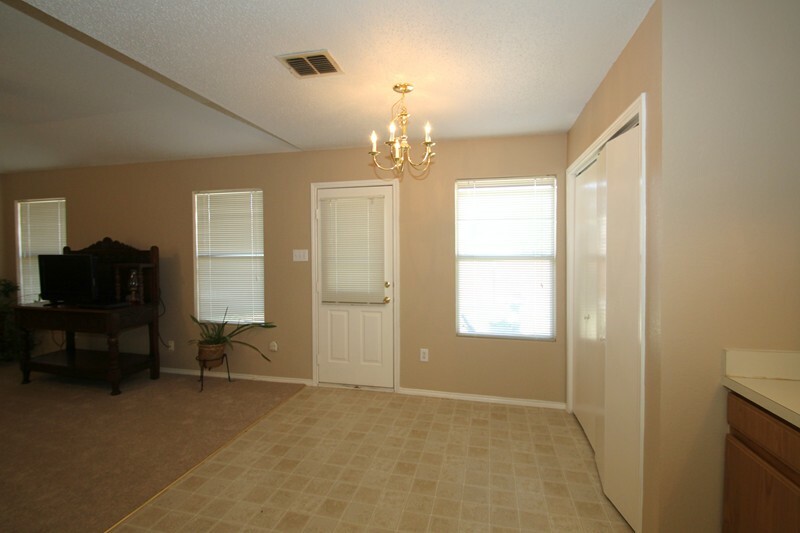 Remember, well-lit and bright rooms appear larger and more open. Flooring is one of the first things that potential homebuyers notice. Make sure you dust, vacuum and clean so that you show off the flooring to its best advantage. If you have hardwood floors, polish and protect your flooring so that it gleams when potential buyers step into the home. Whether you're trying to sell your home this winter or simply want to update its look, you don't have to wait until the spring thaws. When the cold weather drives you inside, take advantage of the time to make attractive upgrades that can increase the appeal and value to your home. When you are ready, contact the Grove Team direct, (817) 337-0000 - our team is available and on hand to assist you with all of your home buying and selling needs. In an effort to keep our family and friends safe this holiday season, the Grove Team would like to share updated information from the Keller Police Department related to credit/debit card awareness. RFID: This stands for radio frequency Identification. While it sounds complicated, our advanced world is making this a part of debit/credit cards, passports, products you buy in department stores and much more. The question is, "What does this mean to me?" If you possess a credit or debit card or other card you carry in your wallet that has an RFID chip it can be stolen. Clever hackers can quickly read the chip and have it transmitted to their computer or data storage source. Once there it can be sent to hundreds or thousands of contacts. The reading of the chip can be done by a scanner that will be hidden. There are many credit/debit cards that do not use RFID chips. Most cards having the implant chip will have a symbol on the card resembling a sound wave. There are products on the market, such as a special made credit card sleeve that will block the scanner. The Keller police urge everyone to be vigilant in their fight against crime and to be aware. If you have any information about the above listed crimes, please contact the Keller police at 817-743-4522.
Credit Scores - Why should you care? The FICO scoring system was created in the 1950s by Fair Isaac Corporation and has been the standard for lenders since the 1980s. FICO credit scores typically range between a low score of 300 and a high score of 850. Under the FICO system, securing credit becomes less expensive for borrowers with higher scores (those who represent the least risk) and more expensive for borrowers with lower scores (those who represent the most risk). In fact, when it comes to a mortgage, a lower credit score could easily cost a consumer hundreds or even thousands of dollars more in interest every month and throughout the life of the loan, compared to the same loan with a higher score. For example, using a 30 year fixed-rate mortgage at $300,000 a person with a credit score between 720-850 could expect an APR of around 5.038% and a mortgage payment around $1677/month. Using the same criteria, a person with a credit rating between 620-674 could be looking at an APR around 6.850% and a monthly payment at $1966/month. Generally, scores below 620 are not considered for this type of loan. Source: Myfico.com (30 year fixed-rate mortgage on $300,000) as of March 11, 2009. This clearly reveals the relationship between higher FICO scores and lower interest rates and monthly mortgage payments. Of course, interest rates are determined by many factors but the bottom line is that individuals with low credit scores will pay nearly three times more in interest than those with strong credit scores. Are you or someone you know considering buying or selling? Contact the Grove Team, (817) 337-0000. We are available to assist you with each step of the process. Visit us online, www.groveteam.com or follow us on Facebook and Twitter! There is still time to participate in the Holiday Mail for Heroes program of the American Red Cross and Pitney Bowes. This is a program designed to collect and distribute 1 million holiday cards for American service members, veterans, and their families in the United States and around the world. Cards should be signed. No inserts, no glitter, no long letters. Thank a solider this holiday season! What's in store for home decorating in 2011? No matter what your taste, you'll have no problem finding a hue in the 2011 forecast of popular paint colors to fit your lifestyle ... and your tastes. "The 2011 color forecast contains some extraordinarily versatile and contrasting hues that have been inspired by everyday life," says Donna Schroeder, color marketing and design manager for Dutch Boy Paints. "The depth and range of what we're predicting to be next year's most popular colors provide extensive options for adding accents to a room, changing themes and styles, or even completely redecorating from scratch." Worn. The appreciation of old and naturally rusted or decayed items is prevalent in Dutch Boy's first palette. The passage of time is held sacred, and beauty is seen in all things weathered from time and the elements. There is a strong influence of holding onto heritage as we continue to move forward and look to the future. A true appreciation of craftsmanship and natural materials and finishes abounds. As such, rusty colors that emanate deep warmth are featured. These include: Brick Fleck, Bittersweet Orange, Nature's Way and Chestnuts Roasting. Rebirth. Sustainability and the respect for the environment are now a lifestyle. There's a sense of personal responsibility when it comes to nature. This is reflected in these saturated and wholesome colors. Rich greens are nature inspired and warm golds mirror the vegetables found in a farmers market. Colors in this palette include the following: Aubusson Vine, Endless Ocean, Brilliant Impression and Nectar. Wonder. Escapism and nature-in-the-extreme drive the next trend. There's a definite need for fun and fantasy to satisfy that inner child that's in all of us. This trend comes to life with colors such as bright fuchsia, deep blue and cheery aqua, all balanced by a nature-inspired green. You'll find a hint of 80s influence here, but the combinations are much newer to the eye. Colors include the following: Moonlit Sky, Rockets, Merlot Grape and Victory Red. Functionality. On the flip side, there are those who embrace a truly practical way of living and look into the depths and layers of nature. Within this trend, texture is key and colors are soft and faded. Windswept and washed effects and monochromatic layering set this palette. Colors include the following: Boardwalk Blue, Composed Bloom, Spruce Hollow and Range Brown. Abyss. The last 2011 trend revolves around technology. Here, technology influences a stripped-to-the-bone or cellular level of design. The color palette reflects a void element, as we move into the future and become ever more reliant on online and virtual communication. Colors are neutral and gray and include the following Dutch Boy hues: Gargoyle Shadow, Fresh Linen, Pursuit of Happiness and Piccolo. Are you considering buying or selling in 2011? Contact the Grove Team, (817) 337-0000...our team of buying and selling specialist are available to assist with all of your real estate needs! This winter will see a softening of prices in most parts of the country. If you are considering selling your home in the near future, you should set an appointment with a real estate professional that has experience in your local market. That being said, we want to explain the magnitude of the challenge. What is the FHFA HPI? Federal Housing Finance Agency (FHFA) explains their pricing index this way: The HPI is a broad measure of the movement of single-family house prices. It serves as a timely, accurate indicator of house price trends at various geographic levels. It also provides housing economists with an analytical tool that is useful for estimating changes in the rates of mortgage defaults, prepayments and housing affordability in specific geographic areas. The HPI is a measure designed to capture changes in the value of single-family houses in the U.S. as a whole, in various regions and in smaller areas. The HPI is published by the Federal Housing Finance Agency (FHFA) using data provided by Fannie Mae and Freddie Mac. The majority of states have experienced weakening in house values. Many experts predict this will continue throughout the next several quarters. If you are considering selling in the near future, speak with your agent soon to determine where prices are headed in your neighborhood. 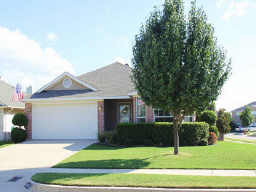 Areas in Northeast Tarrant county vary...contact the Grove Team for the most up to date information on your home value. 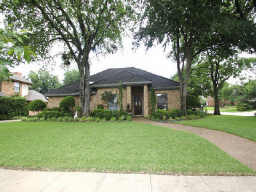 Direct (817) 337-0000 or visit us on the web, www.groveteam.com. Construction and plans continue to move forward throughout Tarrant County's highways. Work on the North Tarrant Express for the Loop 820 and TX-183 expansion. In the months ahead, you can expect some work around the IH 35W/IH 820 interchange, as crews prepare pad sites for heavy equipment. For continued updates on the changes, visit North Tarrant Express for more information. Continue to check back with our blog for updates and information as it becomes available! Are you in the expansion zone and ready to start the process of shopping for a new home? Contact us at the Grove Team, (817) 337-0000. Our team of Buyer Specialist are ready to assist you with each step of the process. The Christmas Season gets off to a grand start on Friday, December 3 at 6 p.m., on the Plaza at Keller Town Center. Many activities to thrill young and old alike from the Holly Jolly Light Parade, lighting of the community Christmas tree and awaiting Santa's arrival to tubing down a two-lane tubing hill of snow. Bring on that holiday spirit enjoying entertainment, gingerbread house decorating or making crafts in the Jingle Bell Zone. Children, ages six through twelve will have a fabulous time from 9 a.m. to noon on Saturday, December 11 making holiday arts and crafts, decorating cookies, singing, playing games, and more. Mom and dad will have a chance to make preparations for the big day and deliver lists to Santa. This workshop fills very quickly, so register early! Cost is $15 per child. The North Richland Hills Recreation Center will hold an Elves Workshop on Saturday, December 4. This event is open to children ages 3 to 6. The cost is $16 per child. Session I will be held from 9 a.m. to 11 a.m. and Session II will be held from 1 p.m. to 3 p.m. Participants will enjoy singing holiday songs, making festive crafts, decorating sugar cookies and a visit from ol’ Saint Nick. Each child will take home a photo with Santa. Space is limited. The Recreation Center is located at 6720 NE Loop 820. To register your elf for this special event, call 817-427-6600. The NRH Recreation Center will offer an Ornament Workshop on Saturday, Dec. 11 for children ages 4 to 8. The cost is $16 per child. From 10 a.m. to 11:30 a.m. participants will get into the holiday spirit by making ornaments using wood, plaster, paint and lots of imagination! Space is limited. The Recreation Center is located at 6720 NE Loop 820. To register your elf for this special event, call 817-427-6600. You have just executed the contract on your new home and are thrilled that in just another 45-days you will have a new place to call your very own. Emotion often affects your decisions throughout this process, and makes it hard to imagine there are any problems with your new home. As a buyer, you need a home inspection to ensure you have the opportunity to learn about all aspects of your home. The relatively small investment before the end of your option period allows you, the buyer, the piece of mind to proceed to closing on this great investment. A home inspection conducted by a licensed inspector is a visual inspection only. General home inspectors look at what they can see. This includes the major systems within the home - plumbing, electrical, HVAC, foundation, and the roof. In the event the home inspector discovers something beyond the scope of their inspection, as the buyer you have the option to contact a specialist for further inspection. As your team of real estate professionals, The Grove Team is here to walk your through each step of the process. Texas Association of Real Estate Inspectors website for more information. (817) 337-0000 to get started. About half of metro areas tracked in the third quarter continued to show modest home price increases from a year ago, despite a sharp decline in home sales after the tax-credit deadline, according to the latest NAR survey. In the third quarter, 77 out of 155 metropolitan statistical areas (MSAs) had higher median existing single-family home prices in comparison with the third quarter of 2009, including 11 with double-digit increases. In the third quarter of 2009, only 30 MSAs experienced annual price gains. The national median existing single-family price was $177,900 in the third quarter, down 0.2 percent from $178,200 year over year. This is great news! Although interest rates are seeing a bit of an increase, they are still historically low. Are you or someone you know considering buying or selling a home? Now is still a great time to act - contact the Grove Team to learn more! Direct (817) 337-0000 or by email, info@groveteam.com. In the home buying process, the first step is to find an experienced Realtor that you can trust. A Realtor’s first obligation is to see that you are professionally represented throughout the entire process of buying your home. Learn first about the areas in which you might want to live and look at homes that meet your criteria. When you find your home, present a competitive offer immediately. Your Realtor has extensive experience in contract negotiations. She or he will ensure your requests are documented and the contract reflects your choices. When the seller accepts your offer, your Realtor will advise you on the steps to take as you arrange for financing, insurance and inspections. Inspections are performed to ensure that you understand as much as possible about the condition of the property you are buying. Repair details may be further negotiated, and we head to closing! Be prepared to bring a certified check to the closing procedure. After signing all the paperwork and funding of the loan, the next steps you take could be over the threshold of your new home! May your table be bountiful with all that is warm and full of love. What an awesome way to celebrate the season! The Grove Team is proud to be affiliated with a wonderful Keller Williams Southlake Market Center. Collectively this year, our office has raised more than $5,800 for KW Cares, $15,000 for local charities, built a home for Habitat for Humanity, and assisted three local disabled veterans during our Red Out day. What a great feeling to know we are associated with such a fantastic company. Are you or someone you know considering buying or selling real estate? 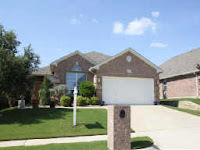 Contact us directly, (817) 337-0000 or find us online, www.groveteam.com. Cathy Jo, Mahannah, Angie, Lynn and Diane - dropping off donations for the canned food drive. Here are a few simple reminders of how you can increase your chances of success when showing your home. • Put away medications and valuables. • Implement a seasonal grounds cleanup. 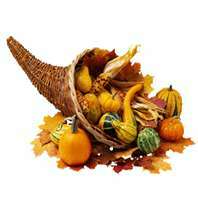 • Use color - plant flowers or decorate for a holiday. • Repaint any faded or peeling exterior paint. • Trim shrubs or trees that hang over walk ways. • Clean light fixtures and windows and install maximum wattage bulbs recommended by the manufacturer. • Open drapes and blinds. • Leave lights on as much as possible during the day. Lamps, niche lighting and spotlights give your home a cozy feel. • Touch up interior paint. • Clean carpets to remove stains and odors. Repair and re-stretch if necessary. • Re-caulk bathroom tubs and showers. • Make sure all doors, including closet doors, open freely and latch securely. • Maximize kitchen and bathroom counter space. Clear off counter tops as much as possible. • Keep interior holiday decorations to a minimum. Are you considering buying or selling a home? Give the Grove Team a call today, (817) 337-0000. Our team is here for you every step of the way! 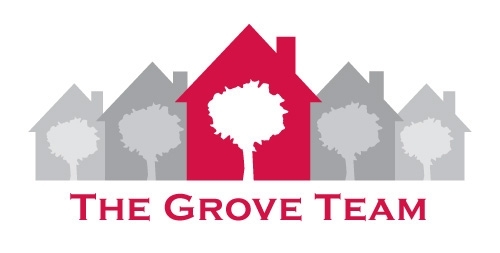 To make sure the sale of your home is handled professionally – hire trained professionals, like the Grove Team. In the long run, you will wind-up with more money in your pocket and have less challenges with the move. The October numbers are in...see the table below for updates on your area. Thinking of buying or selling? Contact us direct, (817) 337-0000 - our team is ready and available to assist you with all of your real estate needs! 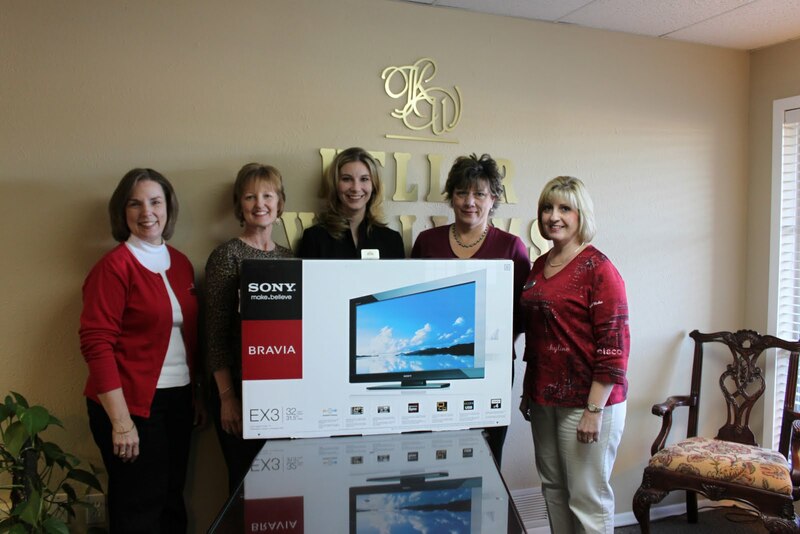 Sandy Horton, Coldwell Banker Residential showed a Grove Team listing during our TV Giveaway and was the recipient of a brand new flat screen! Thank you to everyone who showed a Grove Team listing and provided feedback during the promotion. Are you thinking about buying or selling? Call the Grove Team - our innovative marketing and team dynamic allow us to be your real estate professionals in Northeast Tarrant County. The Grove Team is pleased to annouce our partnership with Lionsgate Builders. With more than 50 years of combined experience building upscale custom homes in the Dallas/Fort Worth area, the principals of LionsGate Homes are bringing this same level of quality to a new generation of homebuyers. Flexible floorplans adapt to your changing needs, with such versatile features as private studies, spacious gamerooms, and state-of-the-art media rooms. Pamper yourself with stunning gourmet kitchens and elegant master retreats. Contact on-site rep, Crispen Breslin at 214-674-9495 or the Grove Team at (817) 337-0000 for more information or to schedule your private showing today. In today's challenging market, creativity seller homes. * Offered incentives to agents who preview and show our properties, then offer feedback. * Organize local mini-tours with cooperating agents who have similar homes listed for sale in a geographic area. * Reverse offers: The seller makes the buyer an offer to assist in creating urgency. These are just a few of the innovative techniques we have used to get homes sold. Contact us today about selling your home! Increase your home's appeal with easy, proven tips. 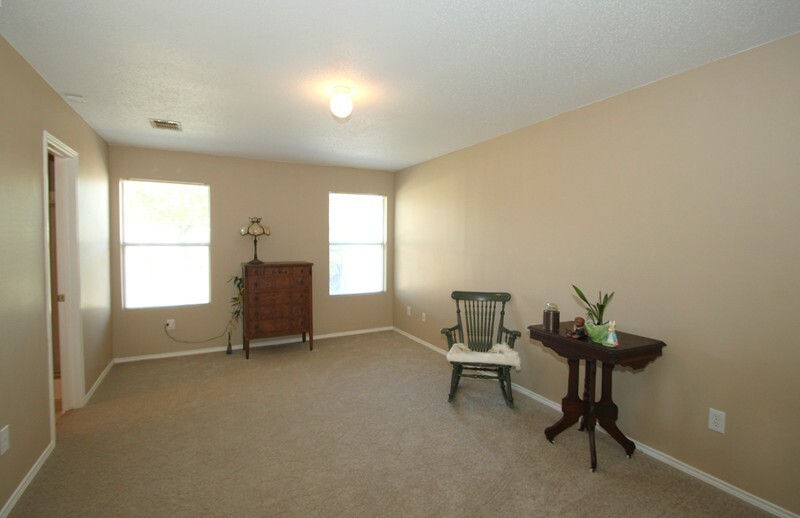 * Well-placed furniture can open up a room and even make rooms seem larger than they are. * The best light to show off your room is natural. Opening drapes and blinds help make a room bright and cheery. * Update and freshen your home with decorator wall colors. Painting is the best low cost, high impact choice for instant results. Visit http://www.groveteam.com to request a FREE report on "Getting your home ready to sell." Call the Grove Team direct today to schedule an appointment to sit and discuss your market value with our listing specialist. Who do you know that is renting? With so many opportunities for first-time buyers, everyone who is renting should at least explore what opportunities may be available. Who do you know that might want to learn more? The real estate market changes quickly, so don't let your family and friends miss out on this fantastic adventure. Call or email us today to assist you, your family or your friends with a purchase of a new home. * Children should always go out trick or treating accompanied by a responsible adult. If you have a group of kids going, the parents should choose two or three of them to go along and keep an eye on things. * Plan a safe route so parents know where their older kids will be at all times. Set a time for their return home. Make sure that your child is old enough and responsible enough to go out by themselves and they have a cell phone. * Remind children not to cut through back alleys and fields if they are out alone. Make sure they know to stay in populated areas and not to go off the beaten track. Let them know to stay in well lighted areas with lots of people around. Explain to them why it can be dangerous for kids not to do this. * Instruct your children not to eat any treats until they bring them home to be examined by you. This way you can check for any problem candy and get the pick of the best stuff! * Instruct your child to never go into the home of a stranger or get into their car. Explain why this is not a god idea and what to do if someone approaches them and tries to talk to them. * Take a flashlight, glow stick or has reflective tape on their costume to make them more visible to cars. * Remember to stay together as a group if going out to Trick or Treat without an adult. The $2 billion North Tarrant Express road project is close to kicking off the expansion of the Airport Freeway, Texas 183. Work is set to begin in the next couple of weeks. For more information, consider attending a public open house today, Wednesday October 27th from 2:00 - 8:00pm at the Hurst Conference Center. The conference center is located at 1601 Campus Drive, Hurst. You can also stay in touch with the Grove Team for additional updates and details as they are made available. Contact us direct, (817) 337-0000. Are you one of the families affected by the expansion - we can help! Our team is staffed and available to assist you in the search for a new home. 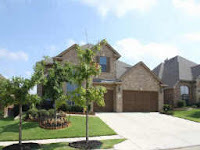 Give us a call, (817) 337-0000 or visit our website, www.groveteam.com. Are you in need of a mortgage professional? With so much information available about mortgages, refinancing and financing it is important to partner with someone you can trust. The Grove Team has partnered with Sara Thomas for more than 15-years. Continue on to learn more about Sara and her company, MetLife. "My philosophy is to listen to each customer's needs, and respond to those needs efficiently and effectively. I strive to build long-term relationships, so that as your lender, I will be with you each time your life necessitates a home change. Many lenders can 'get you a loan'. My goal is to 'get you the right loan'. I am proud to be a loan officer for MetLife Home Loans. I look forward to fulfilling your home financing needs"
MetLife Home Loans customers are primarily served by Mortgage Consultants who uphold MetLife's values of integrity and honesty. Mortgage Consultants provide traditional services to their customers these include educating homebuyers so they can make informed decisions, and assisting them with building real financial freedom. Would you like to know how to secure four listings and four buyer transactions in just three months? 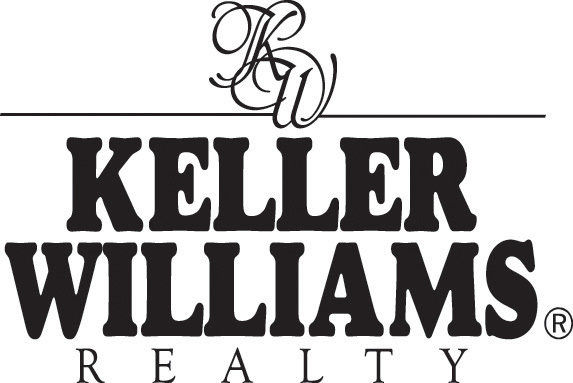 Keller Williams Realty can show you how! The best part, our training is FREE. Give us a call; we'd would love to tell you more about the dynamic classes offered. I can be reached at the office, (817) 337-0000. Our local offices are some of the most profitable in the area. Let's schedule a time for you to meet privately with a team leader to talk more. Join us Monday, October 25th at 6:00 at the Southlake market center - 850 E. State Hwy, Southlake to learn more about what it takes to launch YOUR real estate career. With many Americans still focused on staying put and maximizing the value of their current homes, competition is fierce among contractors wooing homeowners for their renovation dollars. All the attention may make homeowners feel like the prettiest girl at the high school dance, but for every "nice guy" who expresses interest, a "bad boy" could be waiting in the wings to take their money and leave their jobs unfinished. In this economy, credit issues are common. You probably know plenty of good, hardworking people who are experiencing financial difficulties right now. It pays to check a contractor and his financial background, however, because it could directly affect his ability to get your job done. If he has limited access to credit, he may be unable to purchase the materials or hire the help he needs to complete your renovation. Additionally, the reports include public record information such as liens or judgments against the business. An important fact, as 8.4 percent of the contractors in Experian's database had a lien on file and 6.2 percent had a judgment filed against them. Beware of contractors who solicit door-to-door, only accept cash or who don't have a phone number that is associated with a valid business. Likewise, beware of anyone who offers to discount your job because he will use materials left over from a previous job. Avoid contractors who ask you to obtain building permits for them, or find them new customers in exchange for a discount. Acquiring necessary permits and marketing his business is part of the contractor's job - not yours. As with virtually anything in life, if the offer seems too good to be true, it probably is. An exceptionally long guarantee or an offer to discount your job as a "demonstration," are often warning signs. Walk away from high-pressure pitches. If a contractor wants you to make an immediate decision on hiring him, or to fund your project through his preferred lender, consider taking your business elsewhere. It also pays to find out what other people have to say about the contractor you're considering. Just as you once checked out prospective dates by talking to friends and others who knew the person, you need to do some word-of-mouth contractor research before committing. Ask the contractor for the names and numbers of past clients he's worked with. But keep in mind, even a reputable contractor is only going to give you contact information for customers he knows were happy with his work, so use these references as one more piece of information, but don't base your decision on them. Every year about the time of Halloween, the Big Bear Creek Greenbelt takes on a haunting atmosphere as ghosts and goblins come out of hiding to send a chill up the spine of those walking along the trails on this frightening evening. Join friends, family and community at 7 p.m. on Friday, October 23 in the Keller Pointe Parking Lot. Walk the trails of the Bear Creek Park Greenbelt if you dare and then return to the parking area for a fun filled hayride. For information call the Keller Parks and Recreation Department at (817) 743-4050. Children ages 11 and under are invited to join us for a howling good time from 2 to 5p.m. on Sunday, October 24 at Johnson Road Park Playground for Halloween activities. There will be plenty of free carnival games, candy and prizes for the kids. Mainstage entertainment begins at 4:30 p.m. For information contact Keller Parks and Recreation at (817) 743-4050. For more information on local happenings around town, call us direct, (817) 337-0000. The average size of a newly built home decreased from a peak of 2,479 square feet to 2,322 square feet...the most significant drop ever recorded! Nationwide surveys show that many homeowners now want fully functional residential spaces that are thoughtfully designed to match their lifestyle and that cost less to maintain over time. Are you considering a home improvement project? Call us on the Grove Team if you are considering more about the specific trends that are most evident in this area. (817) 337-0000 or email info@groveteam.com. The prevalence of non-traditional, open layouts with spacious kitchen and family room areas continues. Today's homeowners are looking for ways to maximize the square footage of their homes, so larger, more gathering-friendly casual spaces are often replacing rarely used formal living and dining rooms. Many builders have incorporated flexible spaces that give buyers the option to dedicate a room to meet their specific needs and preferences or to serve multiple purposes. For example, formal dining room calls for a chandelier and open access, whereas double doors and built ins can easily create a private home office or library in the same space. It is now also more common for the owners of older homes to alter their floor plans to work better with the way they live. A growing number of aging baby boomers drive the preference for one-level or two-story designs with the master bedroom downstairs. Storage features such as large closets and rooms with built-in shelves and cabinets maximize the use of space in a smaller footprint. Should you be a trend watcher? The nations's collective mindset is often evident in house market trends, and if you own a home or are planning to purchase, it is important to stay updated on the most significant changes. In order to protect their investment, homebuyers and renovating homeowners should consider resale potential when making key decisions and that requires an understanding of the features that appeal to the majority of today's consumers. This month, the Grove Team has available information about the most recent trends captured by a prominent survey of American architects. In addition to the emphasis on smaller, more efficient floor plans, the survey also identified other popular characteristics that relate to modern lifestyles like outdoor rooms and home offices. Are you planning a home-improvement project or would you simply like to know more about the trends that are specific to our local area? Feel free to give us a call, (817) 337-0000. We're always happy to help you maximize your home's market value. 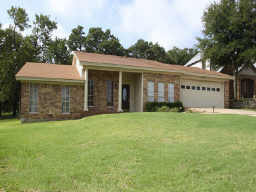 Loaded with upgrades and amenities and located in highly sought Bluffs in the Heritage Addition. Offered by the Grove Team for $304,500 - take the tour now! Look through any interior design magazine and you'll notice one common theme across all the featured homes: a lack of clutter. No matter whether the style is minimalist or maximalist, in the most beautifully decorated homes in the world, you're unlikely to see hairdryers and beauty products sitting out on the bathroom counter. You might think that it's just a trick of styling for a photo shoot, but with the right storage solutions, clutter doesn't need to be a part of any home's decor. The first step to creating a magazine-ready, uncluttered room is to assess which items you need and which are taking up more space than necessary. If you have an abundance of lotions, soaps and shampoos in your bathroom, make a conscious effort to use them up, until you have just one of each. Make sure that your stash of gadgets isn't too expansive, either. If you have extras that still work, they can easily be donated. Once you've gotten rid of the excess, look carefully at how you can make alterations to your current bathroom that will better suit your needs and fit the items you need to keep. One of the simplest ways to add extra style and improve the function of your bathroom is to add new cabinetry. And with the advances that have been made in storage solutions, you might be surprised how chic and efficient your bathroom can become in just one step. The best design ideas are based on how people live, taking into account the mundane tasks people go through every day. For many women, styling their hair is something that must get done every morning, and along with that comes tools like hairdryers and curling irons. These tools also involve high temperatures and unruly cords. It makes sense to not want to put a hot hairdryer away in a drawer right after using it - it might damage your cabinet or worse, be a fire hazard. That's why so many people end up leaving those items out on the counter, causing unsightly clutter. Some creative thinking on the part of cabinet designers might just make your morning routine a little less cluttered. Cabinets made of glass and metal can withstand those hot temperatures, making them ideal materials for bathroom cabinets and vanities. Models from cabinet maker Robern even include a dedicated hair dryer organizer with in-drawer electrical outlets and a place to keep cords neatly tucked away. Those who have small bathrooms - whether it's a second bathroom or a space-compromised master - know the hassle of having to lean back to open and close a medicine cabinet door. One new innovation from Robern, ideal for de-cluttering cramped spaces, is a medicine cabinet with seamless mirrored doors that slide up, rather than open out. Simply changing out your existing cabinet for these new models can make your bathroom infinitely more usable - not to mention the aesthetic boost it will get from the sleek glass-and-aluminum design. QUESTION: Do you know the average days on market for listings in the Northeast Tarrant County? QUESTION: Do you know the average days on market for Grove Team listings in Northeast Tarrant County? That is almost half the area average. Would you like to know more? 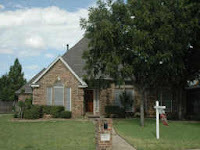 If you are considering selling your home, give us a call, (817) 337-0000. We can meet and discuss with you the Grove Team difference! Look for the red balloons this weekend and join us at several open houses around the area! Be sure to read the next blog for homes available on Sunday! Are you considering selling your home and not sure what the market value is? Contact the Grove Team, (817) 337-0000 or click here to complete an online form for your FREE home evaluation. For more information about buying or selling visit our website, www.groveteam.com. When you see a home that you would like to take a look at, give us call! We'll schedule time to meet and view the properties together. For more information on buying or selling, call us direct (817) 337-0000 or send an email info@groveteam.com. Keller and Central high schools are once again teaming up for their Play for the Cure event, culminating with the varsity football matchup between the two schools on Friday, September 24. Cheerleaders from KHS and CHS will be collecting donations and raising money throughout the week of the game (Sept. 20-24) to support the Susan G. Komen Foundation's funding for breast cancer research. Both squads will be selling "Pink Pride" t-shirts, pink bracelets, pink donuts, pink snow cones, and pink jeans passes for teachers among other pink items. The schools are asking the community to get involved by purchasing a t-shirt from either school and showing up for the game wearing pink. Both schools will be hosting a "Pink Out" pep rally the morning of the game, and are inviting any breast cancer survivors to attend as guests. Survivors along with any friends or family members that have been affected by breast cancer are also invited to come down to the field at halftime for the presentation to the Susan G. Komen representatives. The Indians and Chargers football teams will meet at 7:30 Friday, September 24 at Keller ISD Athletics Complex. Keller will be the home team this year, with Central on the visiting (east) sideline. For more information on community schools, visit the Keller ISD website or contact the Grove Team, (817) 337-0000. Does staging make a difference? Often a seller will ask if it is worth taking the time to stage their home before going active on the market. As agents, we often say to our clients you live in a home one way, and sell it another. Here is a great illustration of the power of staging...in a quiet, unassuming neighborhood in north Fort Worth the Grove Team listed a traditional three bedroom, two bath home with just over 1,500 sqft. 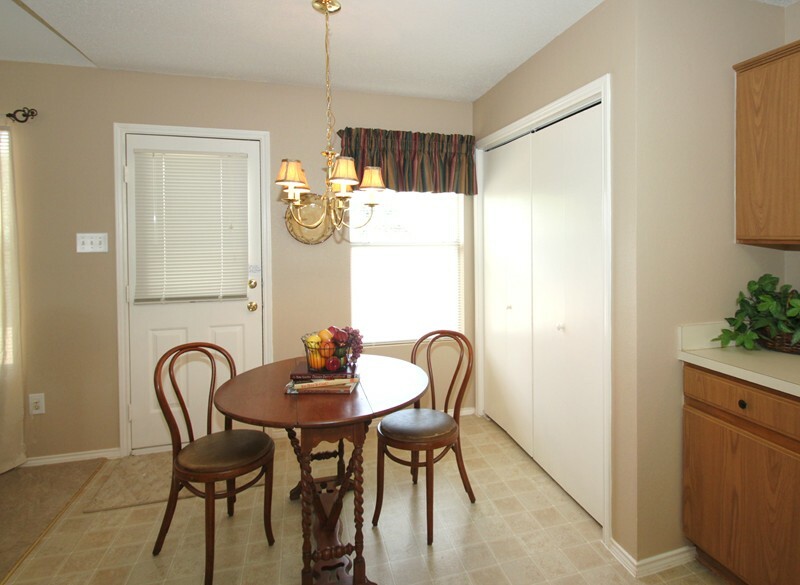 The breakfast nook, featuring great natural light and awesome space for a table to gather around for meals. 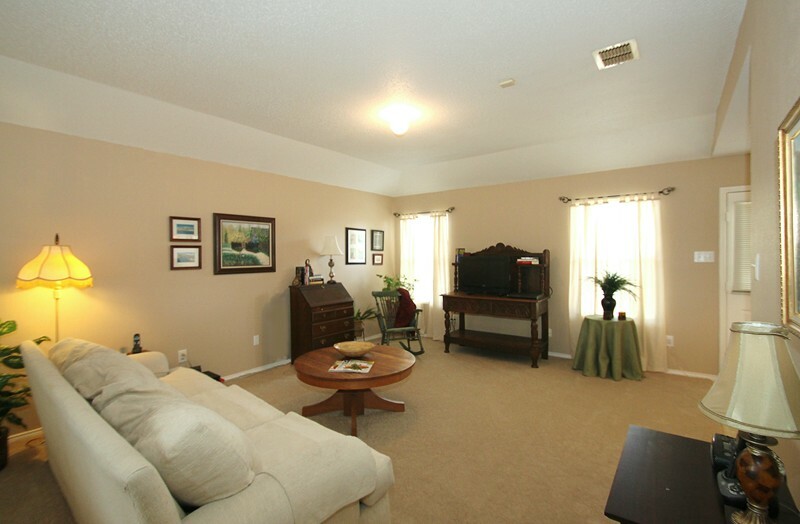 An open and spacious family room offers invites you in for entertaining or simply relaxing. 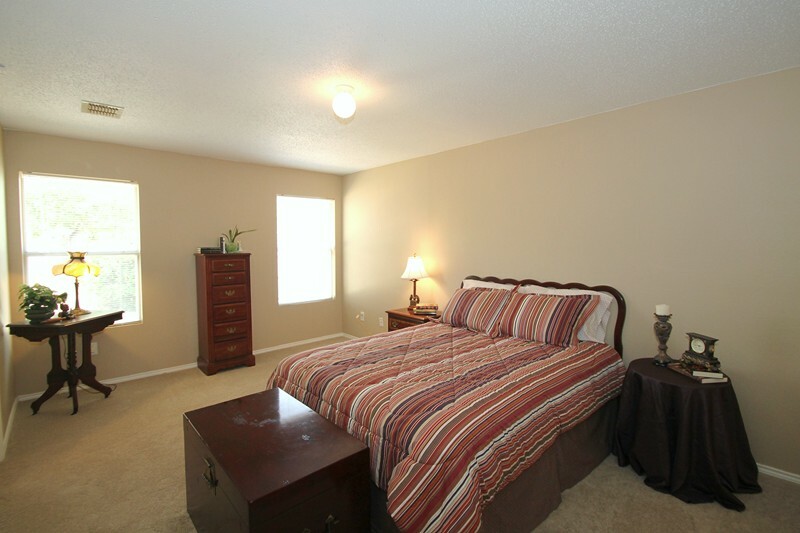 The master bedroom comfortably fits a king-size bed and offers adjoining bath with garden tub and separate shower. The breakfast nook after staging. 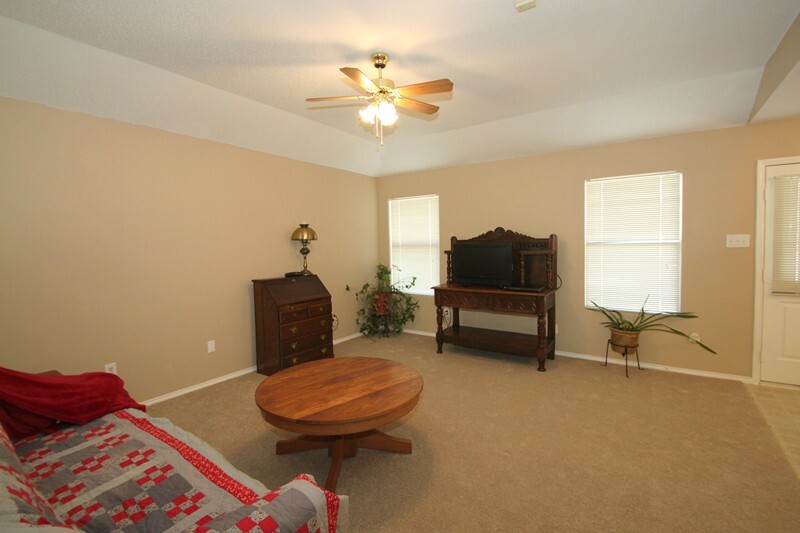 An updated family room feels warm and comfortable for any occasion. The master bedroom becomes a haven from the hustle and bustle of daily demands. Although a smaller home, once the staging was complete an offer was received and executed within two weeks.